Home › Electronics › Mandala Crafts Home Business Security Dvr Cctv Camera Video Surveillance Syst..
Mandala Crafts Home Business Security Dvr Cctv Camera Video Surveillance Syst..
Red and black on a white background make it very visible and catch attention. Can be used on the glass of your office, business, home, or RV doors or windows. Very easy to install. Just peel and stick to the glass. 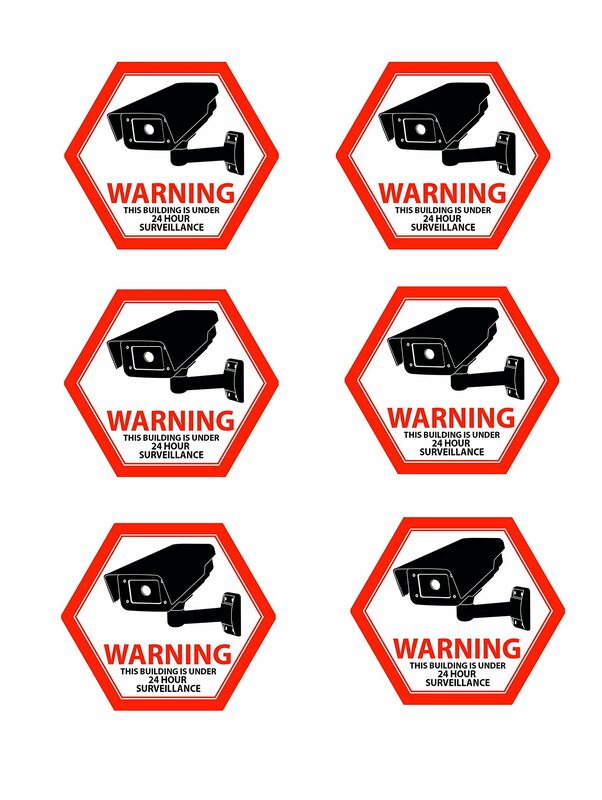 These self adhesive 24 hour video surveillance signs will keep your home,business, or RV safe. The unique front self adhesive design makes it can beput inside of your windows or doors. It is very durable and long lasting. Itwill not fade. We used premium quality vinyl material to print the signs. Itis very easy to peel and install. These signs will absolutely do magic andgive you piece of mind with or without your CCTV or surveillance camerasinstalled.